Shaping up Bangaloreans since the 80s, Santosh and Anu are the founders of Figurine Fitness, and will have you dance your way to a fit body with dance aerobics and Bollywood moves. Back when treadmills and cross trainers were as obscure as smartphones. 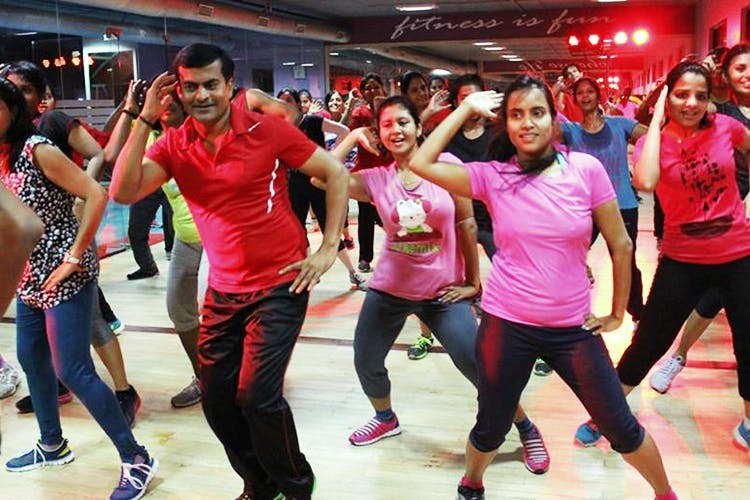 founders of Figurine Fitness, Santosh and Anu, were busy getting half of city dancing to their tunes — quite literally! Pumping up the beats at the Chinnaswamy Stadium studios, there were about six sessions everyday, and they were pretty addictive. Ask me. My mum, sister, aunts, uncles, neighbours and almost everyone I knew was busy rushing off to the ‘dance aerobics class’. And come to think of it, they all looked really fit. Now fast forward to 2017, and they’re still going strong! So much so that my lovely Editor and I have been dying to sign-up for the same old class just next to our office. At a trial class, we were super tired out, but felt rather energised! Combining Latino, Free Style Dancing, Bollywood, Zumba and the inimitable Bhangra, we loved how we not only lost calories, but actually felt de-stressed. From Chikni Chameli and Kaala Chashma to Avicii or Rihanna, the music made us want to dance anyway, which is half the battle won! And the best part is, the trainers weave in warm-ups, cardio, leg and abs workout so seamlessly into the moves, you actually won’t realise you clocked up plenty of squats, leg lifts and toe touches, lunges and what not. By the end of your class, you’re likely to have even done Pilates, Tae-boo, kick boxing and some yoga. There’s also dedicated time for abs and core training which is great as it’s an all-round workout then. Of course, cool downs involve dancing too, so don’t skip out of class early. Make sure to leave all your inhibitions at home. These guys will make you shake, shimmy and bring back any Sheila’s Jawani!